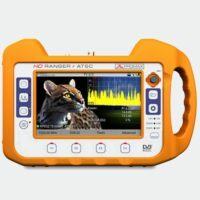 HD.Ranger.UltraLite - TV and Satellite Analyser | AdvancedDigital Inc. 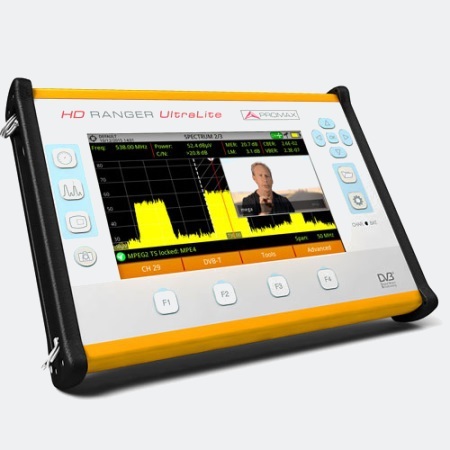 The HD RANGER UltraLite is a universal field strength meter that covers a comprehensive mix of broadcast standards around the globe. The latest developments in broadcast technology such as DVB-T/T2, DVB-C/C2, DVB-S/S2 with MPEG-2 as well as MPEG-4 video are managed effortlessly within the product. The HD RANGER UltraLite is perfect for satellite installers: Built-in DVB-S and DVB-S2 satellite finder, digital decoder and signal analysis. Less weight and volume: 1.4 kg. Download measurement reports to your PC and install new functions in your analyser at no cost. It is handy and lightweight. Small and portable. A more transportable field strength meter. HD RANGER performance and speed. 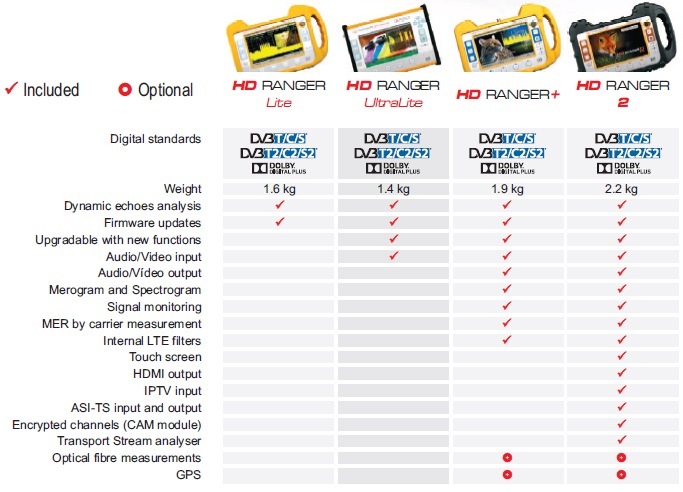 Click on “HD Ranger UltraLite Datasheet” for technical specifications.